On our This Old House Northshore Farmhouse project the color palette was key. 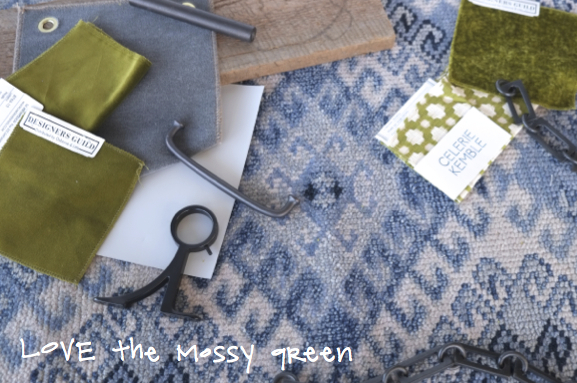 Immediately we had our blue and grey base palette down and picking our rug was the key next step to make sure we were heading on the right path. 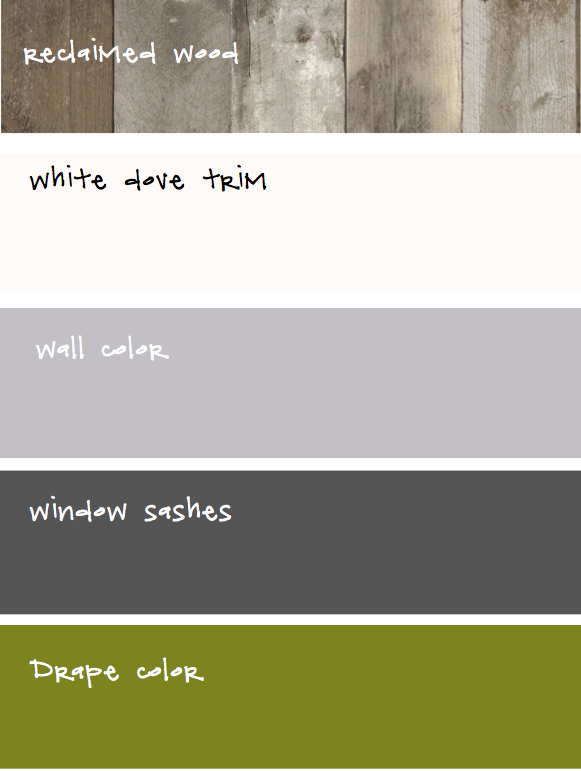 As we were thinking about of cool tones mixing in with our warm woods determining an accent color was our next step. Below is a process shot when I was thinking about green and what tone of green would add richness to the materials and color palette. Feeling good about the colors and rug allowed us to think about what we were layering on top if it all. 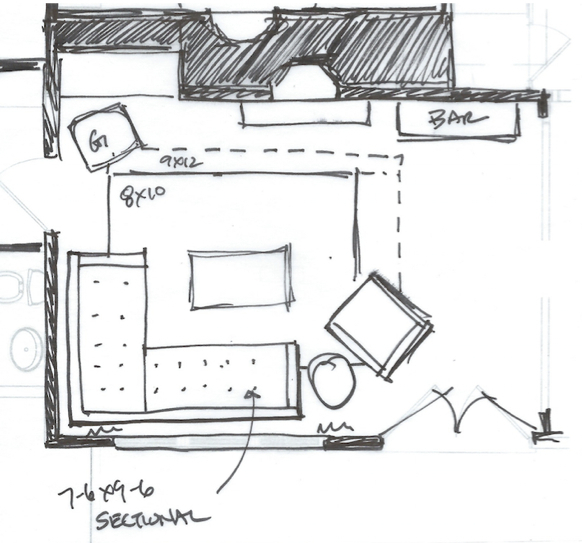 Keeping the modern farmhouse concept in mind I was thinking the sectional, a dominant piece in the room would be a great way to bring in clean lines. Handily enough I had one in mind, that I happened to own! It made testing it out a breeze. Turns out once I sketched out the scale it was a perfect fit – done! Like our Dining Room going for our balance of farmhouse, clean lines and a touch of industrial was a driving goal. In light of the cleaner lines on the upholstery we looked towards reclaimed materials and industrial touches in the coffee and side tables, looking at this great cart as a coffee table, a really nice balance with interest for the middle of the room. 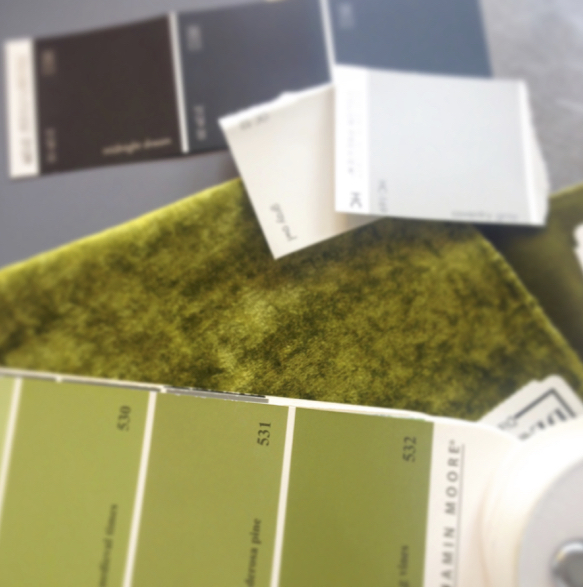 Clearly I am loving the accent of this mossy green, it balances so well when we think about the whole palette pulled together like below. Sourcing: Rug, coffee table and sectional through Kristina Crestin Design, accordion wall sconce from West Elm, blue pillow from Pine Cone Hill and side table from CB2. The house was designed and shop built by Connor Homes. This Old House and Kaminski Construction Management made it all happen on site. Hi, I am Kristina; owner of Kristina Crestin Design and self proclaimed vintage bottle addict. I love most things aqua, obsessing over good lighting and meandering through salvage stores on the weekend. In a week we see and learn so many things that we hope to share here with you - a great local artisan, a sneak peak of a job in progress or design schemes as they evolve. Enjoy!